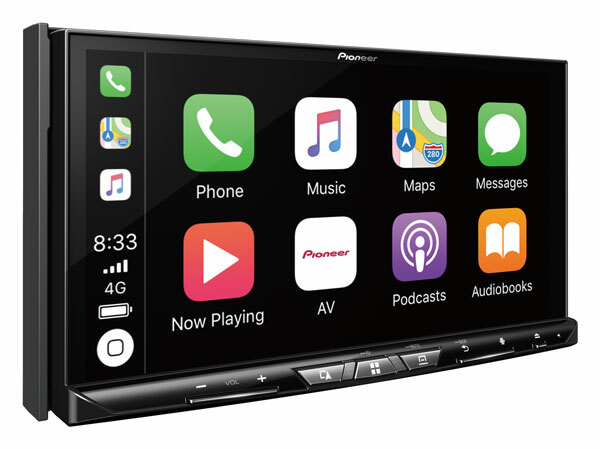 The Alpine INA-W960A Mobile Media Station is fully equipped with built-in navigation and Bluetooth, is ready to connect your iPod or iPhone to play your movies and music, plus you can enjoy DVD, CD, AM/FM radio and music stored on USB media. The built-in navigation gives you the latest high-quality 3D mapping, voice guidance, safety alerts, school zones, fixed speed & red light camera alert, 3D Landmarks and TMC live traffic updates. The simple menus and user interface make source selection and accessing functions quick and easy....come in an test it for yourself. The AVIC-Z920DAB is an all-in-one entertainment unit which will accommodate CD, DVD, iPod, iPhone, USB, HDMI, SD, Aux-in and works with Apple CarPlayTM wirelessly and Android AutoTM. This unit has a 7" screen with built-in Navigation and Bluetooth and has the possibility to add headrest screens for DVD playback in its Dual Zone mode. Capable of adding 2 cameras for safety: front and rear (or one at the rear of the car and one on a caravan for help with reverse parking).